The attorneys at Millin & Millin understand that the process of filing for long-term disability insurance can be complicated. Insurers will expect a lot from claimants and will often deny a claim because of a small mistake in the filing process. There are quite a few things that you should be aware of to ensure that you have a viable claim that won’t get rejected by your insurer. Be honest on all your claim forms. Failing to answer each question truthfully and factually can lead to a denial of benefits. Insurers will purposely seek out omitted info or misinformation on your forms and call it fraud. Insurance companies can effectively claim that you misrepresented yourself by not fully disclosing medical or financial information. Insurance claim forms can be complicated and difficult to get through. Questions may be misleading and you may feel uncertain as to what sort of information you should include. 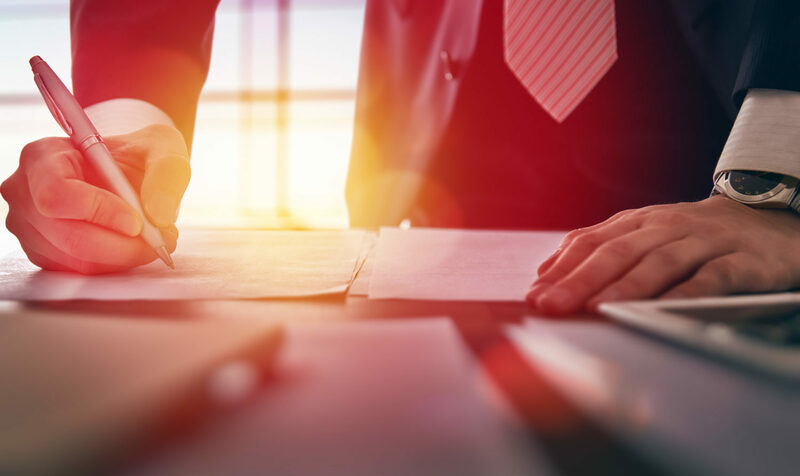 Contact our lawyers at Millin & Millin for a free consultation and to get information on what you should include in the forms. Keep copies of all correspondence with your insurer. You’ll want to keep detailed notes of every phone call and document every interaction with your insurance company. Mark down who you spoke with, the date, time, what the call was about, and anything you received from them or sent to them. You will want a paper trail in this scenario to prove your claim. Respond to your insurance company in writing. Insurance companies will usually attempt to contact and communicate with you over the phone. Unfortunately, verbal answers can easily be skewed and used against you in your claim. Instead, try your best to respond to all claim-related questions in writing. This will help to keep things clear and does not allow your insurer to purposely misinterpret your words. Maintain your medical treatment and communicate regularly with your physician. If you are filing a disability claim, it’s because you have been injured. Naturally, you should be receiving medical care for your needs, especially if they are debilitating. Failing to attend your regular treatment appointments can have a substantially negative effect on your claim. It is absolutely vital that you follow doctor’s orders and maintain complete medical records. If there is a gap in your treatment, document them and make sure to have a proper explanation. Be aware that any inconsistency in your treatment plan can be viewed in an unfavorable light. Ultimately, the more medical information and records that you can gather, the more you can support your claim. What you say to your insurer can be used against you. There is nothing you say to your insurer (or their reps) that is considered “off the record.” You will want to carefully choose your words when communicating with the insurance company, as a misinterpreted phrase, or seemingly innocent remark can be utilized to delay or deny your claim. Do not offer unnecessary personal information to your insurer and make sure to give only factual, straightforward answers. Respond quickly to all requests from your insurance company. Failing to effectively respond to your insurers requests for more medical, vocational, or financial information can cause delays in the claims process. Because long-term disabilities claims often take a lengthy amount of time to resolve, meeting these requests quickly will help to shorten the process of an already long and winded process. This also relates to deadlines. Most policies will have strict time frames for filing a claim. Failing to meet these deadlines usually results in a denial of benefits. It’s also important to be aware that insurance companies often utilize unreasonable time limits as a bad faith insurance tactic. Pay close attention to these deadlines and contact your team at Millin & Millin if you have reason to believe that your insurer is acting in bad faith. If after several attempts to negotiate a disability insurance claim effectively, your insurance company continues to act in a malicious manner, contact Millin & Millin immediately at (956) 631-5600. We service the entire McAllen-Edinburg-Mission metro area as well as the greater Rio Grande Valley metropolitan. Insurance companies are in the business of denying claims, Millin & Millin doesn’t take no for an answer. Our experienced lawyers have the know-how to deal with any insurance company—big or small—and we will fight for your rights if they have acted in bad faith.